This training will cover freely-available library resources that can assist you and your business with the initial business plan, scale up, training, and more. We'll cover ReferenceUSA, a premier source of business and consumer information, as well as a number of other useful resources for business owners and entrepreneurs. We'll have a limited number of laptops available to follow along, so please bring a device if possible. 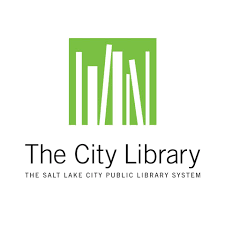 Matthew Phillips is a Adult Services librarian at Salt Lake City Public Library's Chapman Branch. He has assisted a number of business owners with market research, skill-building, and other topics, enabling them to secure loans, scale up their businesses, and reach more customers. Our newsletter features spotlights, announcements, upcoming events and a bunch of cool stuff. WBCUtah is a 501(c)(3) nonprofit organization funded in part through a Cooperative Agreement with the U.S. Small Business Administration. In order to meet the many needs of business owners and entrepreneurs, we must carefully review and evaluate the effectiveness of our program to our supporters, stakeholders and funding sources. Information below is for secure recordkeeping and required for federal reporting purposes only. Thank you for your assistance!